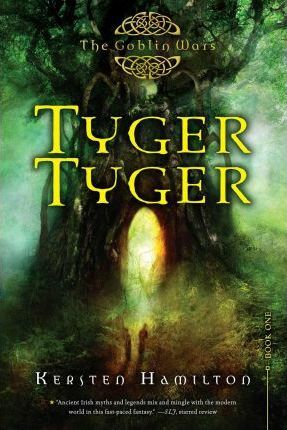 What would you do if the stories of your childhood suddenly began coming to life?Teagan Wylltson's best friend, Abby, dreams that horrifying creatures--goblins, shapeshifters, and beings of unearthly beauty but terrible cruelty--are hunting Teagan. Abby is always coming up with crazy stuff, though, so Teagan isn't worried. Until Finn Mac Cumhaill arrives, with his killer accent and a knee-weakening smile. Either he's crazy or he's been haunting Abby's dreams, because he's talking about goblins, too . . . and about being born to fight all goblin-kind. Finn knows a thing or two about fighting. Which is a very good thing, because this time, Abby's right. The goblins are coming. Kersten Hamilton is the author of several picture books and many middle grade novels. When she's not writing, she hunts dinosaurs in the deserts and badlands outside of Albuquerque, New Mexico, where she lives. This is her first novel for young adults. For more about Kersten, please visit www.kerstenhamilton.com.